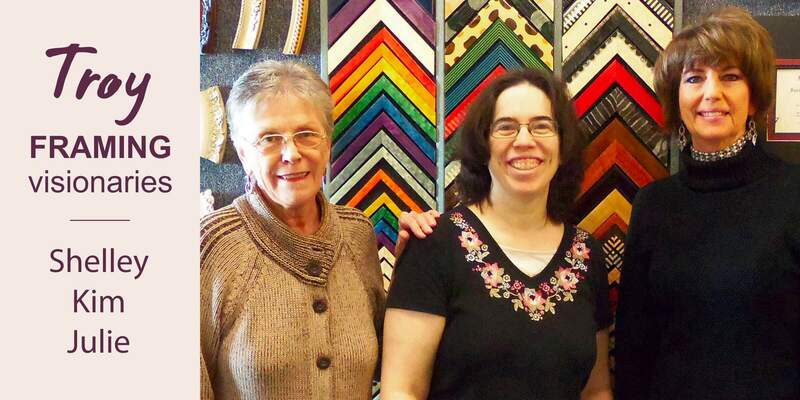 I just wanted to say that I had great customer service from [Frames Unlimited] at the Troy store…I have had several pictures framed by you over the years and all have turned out fantastic. I have had several pieces framed at [Frames Unlimited] and have always been pleased. [Frames Unlimited] was a valuable part of my latest projects. Thanks so much for the great job on the framing of our print. It looks fantastic in our kitchen. [Frames Unlimited] was a great help and certainly has a wonderful eye plus beautiful workmanship. It was fun working with [you] and should I need framing in the future, I most certainly will come to Frames Unlimited.